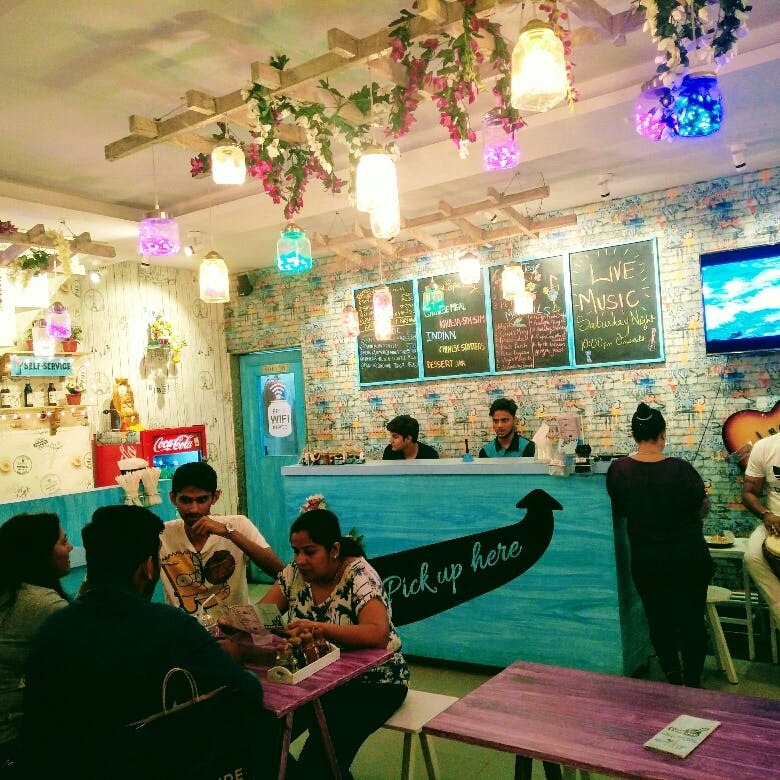 The Food Jar is a brightly lit hangout spot perfect for a grub post your drinking session over the weekend. You can stop when you come across a tiny blue facade that leads into the some affordable yumminess of fusion food. The name extends itself on the menu. They offer food ranging from Chinese, Lebanese and Indian. Do taste their signature "khul-ja-sim-sim", though a bit heavy, you'd leave with a happy tummy! It's a tiny joint with self service. A few tables to fit into, the place can get full with very few people walking in. There's hardly any parking space on the main road, so we suggest taking an auto or a cab. And oh, if you are there over a weekend evening, you might just get to hear some live music. If you are in the mood to try something new and don't wanna drive too far or even order a meal to your doorstep​, The Food Jar is your destination.